I’ve been wearing olive green a lot lately. It’s an easy color to add to work wear to move away from black & white, without making too much of a statement. Perfect for a classic work look. Pops of leopard and gold add just enough drama to make the look stylish. In case you missed my first post with these pants (here), trust me these are *the* pants you need if you work in an office. The perfect work day pant. The best part is they are now on sale for under $70! Score! Must Have Midi Skirt & a Giveaway! "Put a Bow On It"
What a fabulous blazer! I love it with the leopard. Hope your feeling better soon. You are so sweet, thanks Amy! I'm finally feeling better! Such a chic work look with Fall colors. Love the clutch and collarless blazer! Thank you so much Ada! Hope you are having a great weekend. Two of my favorite things, olive and leopard! Beautiful look. so stunning! Olive + leopard look surprisingly good together! Right?! It's an unexpected and fun combo! Thanks for stopping by! I love the jacket! The colour and texture is beautiful! Thank you!! The texture is definitely my favorite part. That blazer is gorgeous! Love the texture! Thank you! The texture is definitely what sold me on it! I love your olive blazer! 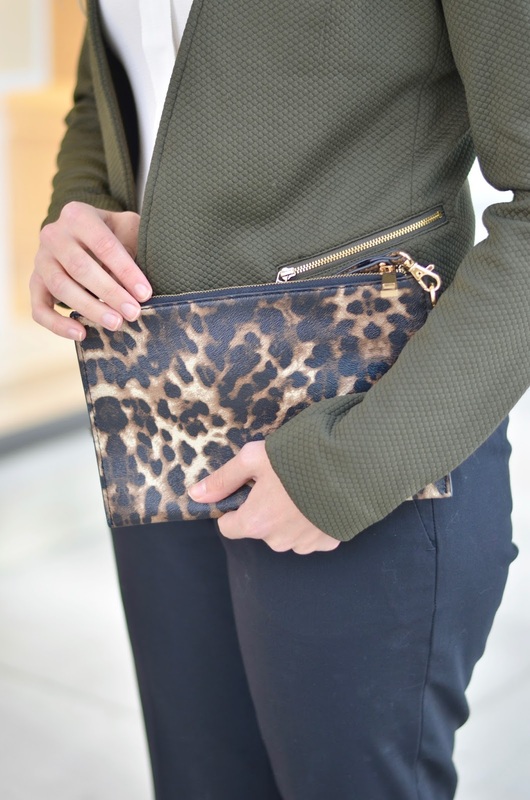 Such a perfect color for the fall, and the leopard clutch adds a perfect touch! What a lovely coat! I adore the fact that it is textured too! Thank you so much Abby! Happy weekend! 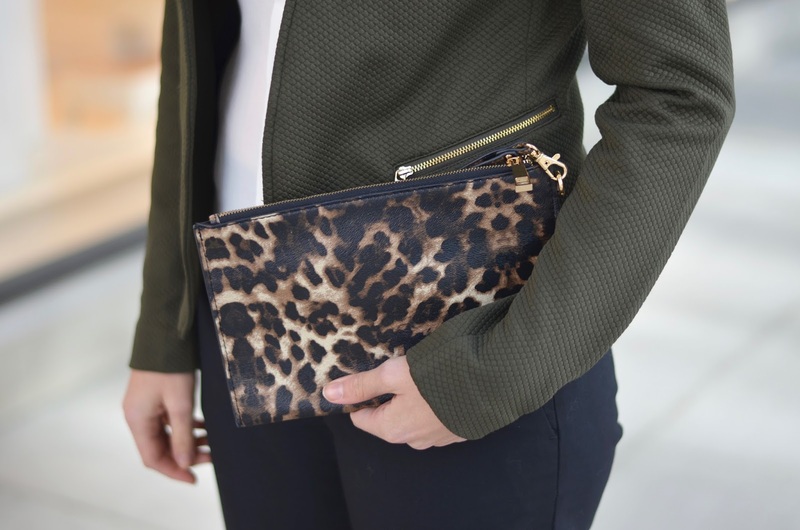 love the look of the olive jacket with the leopard clutch. Thank you Breana!! Happy Monday! Aren't they fun heels?! And they are comfy (win!) Happy Sunday girl!